Lone Mountain Ranch is a full service resort that features an 85 km Nordic trail system. It is only 6 miles from the biggest skiing in America at Big Sky Resort. It offers accommodations at a lodge and cabins, a restaurant, and a wide variety of summer and winter activities. Ski vacation packages. 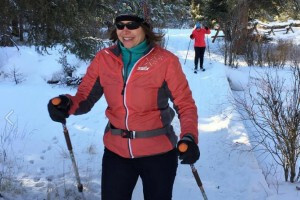 85km of cross-country trails, 30km of snowshoeing, Yellowstone tours & kids activities. Fine dining, sleigh rides & cozy log cabins on the North Fork. Cross country or Nordic skiing are, of course, the favorite pastimes here at Lone Mountain Ranch. With the ranch in close proximity to Big Sky Ski Resort, there's also plenty of exciting downhill skiing as well. Yellowstone National Park is close by, and you can take a tour of the park when not on the snow-covered terrain on skis or with snowshoes. Where is Lone Mountain Ranch? Located 1 hour from Bozeman and just 6 miles downhill from Big Sky Resort, Lone Mountain Ranch is easily accessible from Hwy 191. From the main highway along the Gallatin River, turn onto Big Sky Spur Road/Lone Mountain Trail. About 4.5 miles up this road, you'll see Lone Mountain Ranch on your right. When is Lone Mountain Ranch open? Lone Mountain Ranch is open year-round and offers a unique set of activities depending on the season. 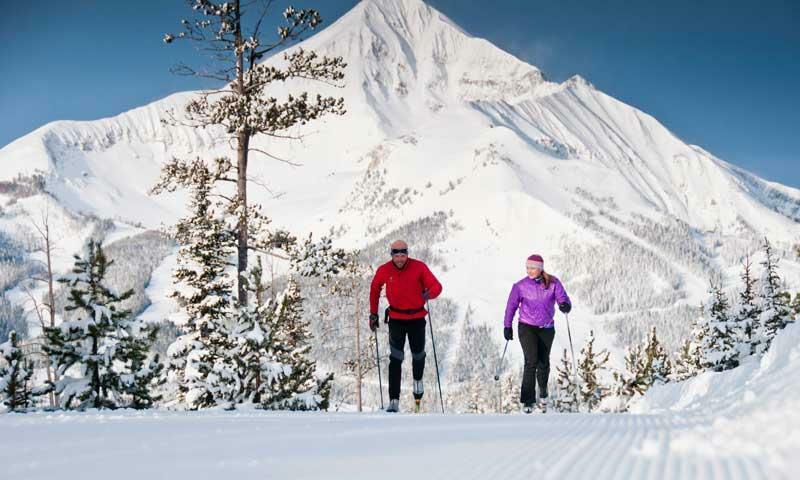 How much does it cost to Cross Country Ski at Lone Mountain Ranch? 85 km of cross country ski trails and 30 km of snowshoe trails are free for lodging guests. Snowshoe and Nordic rentals available. What other activities does Lone Mountain offer? Call Lone Mountain Ranch directly at 800-514-4644. You'll find the rich heritage of Montana history. Lone Mountain Ranch has worked very closely with Crail Ranch and the historical society on the history of Big Sky and the Ranch. The Ranch has been a central part of the community since it was homesteaded back in 1915. It once housed the two school houses (which are now guest cabins) in Big Sky when the Ranch was a logging operation. Chet Huntley purchased the Ranch and changed the name to the Ranch at Big Sky in the 70’s in order to develop and launch Big Sky Resort.